Who Says You Can’t Play Indoors? “No playing indoors!” How many times do you remember your parents shouting that familiar refrain? Now how many times have you caught yourself echoing that same command to your children? Although some things never change, Rockin’ Jump Trampoline Park allows kids to break that old house rule by offering a safe, clean and fun environment for kids to burn off some energy in the great indoors. Rockin’ Jump brings a new concept to the market with padded play stations that take fun to new heights. Unlike the bounce houses and inflatable amusements you might have visited before, Rockin’ Jump has perfected the art of the trampoline park with a safe, clean and fun environment for your youngsters to grab some air and enjoy some hang time with family and friends. Indoor play will never been the same now that Rockin’ Jump is in town. 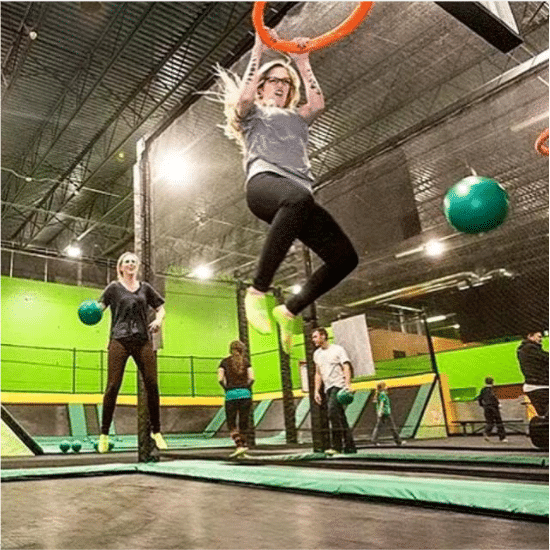 Load up the car on a rainy day or lazy night and let the whole crew violate the “No playing indoors!” rule with an action-packed outing to Rockin’ Jump arena. There are a wide variety of attractions all under one roof, and the No. 1 rule is to have a great time. Why does Rockin’ Jump Rise Above the Rest? In three words: Safe, Clean, Fun. That’s Rockin Jump’s motto and those three things set us apart from the others. Rockin’ Jump designs attractions that are held to the highest of safety standards while also providing children with an entertaining experience. Bottom line: It’s a chance to defy gravity without the often dangerous consequences. But it’s not just the equipment that creates a safe environment; our Jump Patrol safety team closely monitors each play station to ensure the rules are enforced and all kids get their chance to participate. Rockin’ Jump also has at least one employee dedicated to identifying safety hazards and reporting any issues with cleanliness. Safety inspections and cleanings are performed daily. But the biggest difference between Rockin’ Jump and the others is the fun. With play stations designed for kids of all interests, Rockin’ Jump offers a unique opportunity to have a good time while also getting some exercise. When it comes to having a fun indoors, the sky is the limit at Rockin’ Jump. There’s never a dull moment on the Rockin’ Jump arena floor, and the proof is in the smiles. You can hear it in the laughter and chatter on the Dodgeball Arena and the 360 Slam Dunk Zone basketball court. 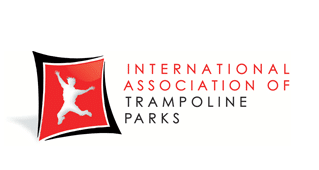 You can watch them go head over heels on the Open Jump trampoline stations. Your children can do more than soar at Rockin’ Jump; they can also make new friends and lasting memories. There are always opportunities to participate in pick-up games on the dodgeball court. Let the little ones invite some friends along for the fun, or use the opportunity to make some new connections with kids who share similar interests. Rockin’ Jump is also a great place for a family night where children and parents can play together. Adults who still feel stuck in their childhood can climb into the arena and take their inner-child on a play date with the kids and bond over some fun and healthy activities, or you can give your youngsters some free time and space to experience Rockin’ Jump on their own. Rockin’ Jump also has private party rooms for celebrating birthdays, holding team functions, or just for doing something special for the kids. Any time or reason is a good one for visiting Rockin’ Jump, the one place where you won’t mind if your kids play indoors.